In 1965, John McGregor acquired Morgal Tool & Die, a business focused on manufacturing tools and dies. Forty-six years later, the McGregor family presides over five manufacturing facilities, known collectively as McGregor Metalworking Companies. Springfield, OH, is home to four, with a fifth located in South Carolina. Over the years, the McGregor umbrella opened up to shelter stamping, welding, spinning, assembly and machining operations. But the manufacturing landscape is littered with ruins of businesses that grew and grew, only to shrink and die seemingly just as quickly, all victims of worldwide competition, higher costs and lower prices for their products. Why did McGregor Metalworking Companies survive and thrive? Great assets can accomplish great things. But without the skilled contributions of associates, buildings are merely buildings and machines are merely machines. By focusing on training, and rewarding skill-building, McGregor Metalworking has recognized what all too many manufacturers have forgotten: People make the difference. McGregor Metalworking’s roster includes Springfield operations Morgal Machine Tool Co., Rose City Manufacturing, Ohio Stamping & Machine LLC and Carmichael Machine Corp., with SC Metal Products in Aiken, SC. 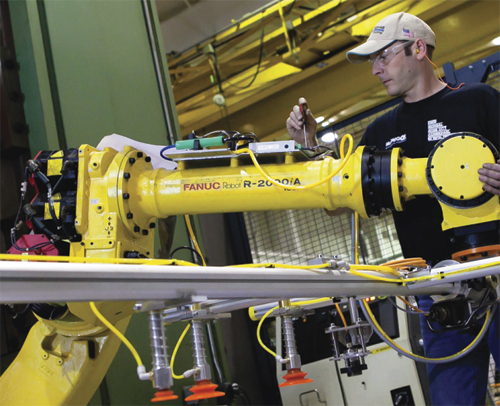 Across these five plants, McGregor Metalworking focuses on its core processes of metal stamping, spinning, robotic welding, machining, and tool and die manufacturing. The contract metalformer, on pace for a record $90 million in sales for 2011, mobilizes these centers of excellence to supply a variety of markets including lawn and garden, automotive, locomotion and energy, fitness, and agriculture. The organization has developed expertise in manufacturing split pulleys in V-groove and poly-V-groove configurations, becoming one of North America’s largest producers. It also boasts sophistication in the manufacture and assembly of electric-motor laminations, rotors and stators. The investment in technology and skill sets to accomplish such tasks allow McGregor Metalworking to employ more than 350 associates across its five plants, with nearly 80 percent of its workforce involved in production. 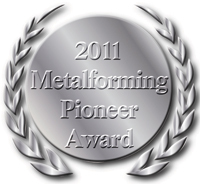 As just one example of the company’s standing in the metalforming universe, it was honored in 2011 with John Deere’s highest supplier rating. McGregor Metalworking’s Morgal operation was recognized as one of only four Deere & Co. metal-stamping suppliers throughout the world to reach the agricultural OEM’s Achieving Excellence Partner level. Partner status is based on key performance categories such as quality, delivery, cost management, technical support and wavelength, a measure of participation with Deere to improve products and services. Located in Southwestern Ohio, McGregor Metalworking once had its pick of experienced workers. Over time, those workers aged, bringing competition for new hires and creating the need to prevent quality associates from taking their talents elsewhere. Just as importantly, as McGregor Metalworking expanded, it began to teach basic and advanced skills to bring associates up to speed on new equipment and technologies. 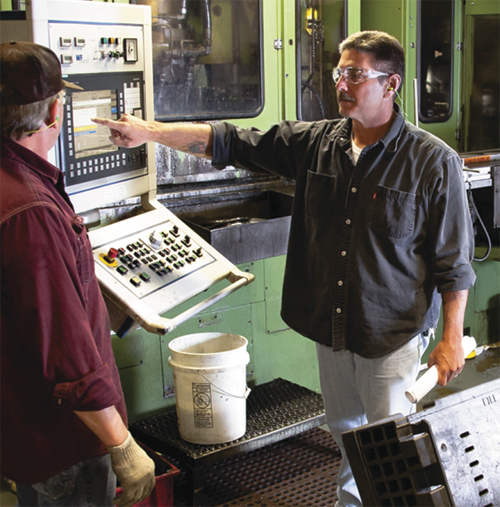 “Metalworking skills are not transferring in the traditional ,” says Belden. As a 22-yr. McGregor veteran, Dave Buxton has performed and overseen pressroom operations across all three shifts. Hired as a press helper at OSMI, Buxton joined the McGregor team for the benefits he lacked at his previous employer. Within 18 months, the quest for challenges led Buxton to transfer to quality control, and a few years after he went back into the pressroom. From there he moved to team leader on a newly created third shift, and later assumed supervisory positions on third and second shifts. Eventually, Buxton sought a first-shift position, even if it meant giving up supervisor duties. With his knowledge of multiple positions and departments, a training position seemed like a good fit—and it was. “McGregor Companies gave me opportunities to pursue growth and accommodated my requests throughout my career here,” Buxton says. A true example of training the trainers, Buxton uses what he learned in Pay for Skills—knowledge that allowed him to grow at McGregor Companies—to provide advancement opportunities to current trainees. Does Pay for Skills really provide a better life for those who embark on the paths? At one time, skills were learned on the job, with older, seasoned employees helping newer hires. Employees became more familiar with equipment and processes, and learned tips and tricks from the more experienced personnel. In recent years, Belden explains, the workforce has become more transient. Experienced tool and die workers retired or lost their jobs during downturns, the same with machine operators. Now, a dearth of skills in the pool of potential employees makes training all the more important. Pay for Skills addresses these challenges. McGregor Metalworking’s Pay for Skills plan compensates employees based on their level of training. Under this plan, hourly employees are paid solely on the basis of their skills, without regard to length of service. Training coordinators work with supervisors to coordinate training activities, ensuring that each employee reaches his maximum skill level. A path of training has been created for all production-related employees, taking them from new-hire status through each level of training. Paths include press operation, material handling, secondary-machine operation, quality, material services, pulley spinning, resistance welding, robotic welding and assembly. Progression to higher training levels brings automatic pay adjustment. A press operator, for example, after achieving Level Four training that can be accomplished within 3.5 yr., will earn 40 percent more than his starting wage. In addition, achievement of Level Four qualifies an employee for National Institute for Metalworking Skills (NIMS) Level III credentials, upon passing the applicable tests; this also earns a pay raise. That is significant, as NIMS is the only measure of standardization for employee training in manufacturing. McGregor Metalworking, the only NIMS-accredited metalforming company, according to Belden, offers other benchmarks along its Pay for Skills paths that enable associates to earn NIMS Level I and II credentials. More than 60 percent of the company’s production associates carry NIMS credentials. McGregor Metalworking’s training program begins with entry-level safety training, accomplished prior to an employee’s first day of employment. Next comes a new-hire orientation—5 to 6 hr. of in-depth training on site-specific safety issues and state and federal requirements. Employees then embark on training paths depending on their particular jobs. All employees must pass written and hands-on performance assessments in order to move on. The job paths also offer something unique in manufacturing—college credits. Graduates of the company’s Pay for Skills program receive 40 credit hours, to be used toward an Associate of Technical Studies certificate or a degree in Manufacturing Operations at nearby Clark State Community College. While McGregor Metalworking embraces employee training and workforce development, many other companies shy a from the practice, fearful of spending time and money on employees only to see them take their valuable company-paid skills and head elsewhere. That is the wrong approach. “The one thing worse than training someone and having him leave is not training someone and having him stay,” says Roger Sigman, one of two full-time training coordinators at McGregor Metalworking. Sigman and Dave Buxton, the firm’s other training coordinator and a special projects manager, handle Pay for Skills training for some 50 employees, primarily at the Morgal and Rose City facilities. As training coordinator, Buxton provides training in his area of expertise, metal-stamping presses, as well as satellite processes. In press operator training, Pay for Skills begins with an introduction to the process, including how the paths and levels work, how pay rises with each training level achieved and how trainees can accomplish skill-level increases. “From there we allot about an hour per week per student for formalized training,” Buxton explains. Trainers work with trainees until each lesson has been mastered—no one fails. Completion of Level One Pay for Skills training is a requirement for employment, but associates don’t have to continue with succeeding levels. “As associates climb the training ladder, our Pay for Skills program ensures that everyone is trained to the same level of expertise and performs tasks in the same manner,” says Jeff Powell, general manager of Ohio Stamping & Machine and one of the developers of McGregor Metalworking’s Pay for Skills program. Why would associates abandon training and forgo the opportunities it provides? Pay for Skills demands commitment on the part of the associate, and the company continuously shows its commitment, even in tough times. 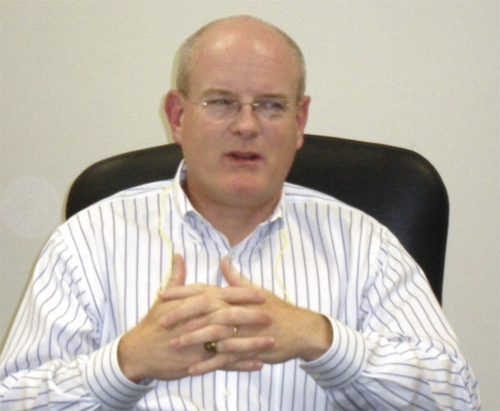 “2009 was a terrible year for manufacturing and a terrible year for us,” recalls company chairman Dan McGregor. Noting that in 2009 the company did not realize a profit, McGregor says that it invested 9025 hours in training at a cost of about $175,000. McGregor, in fact, was ready for 2010, and the investment in associates has been remarkable. Consider that in 2009, the company had 223 employees. By 2011 the roster had expanded to 353. The benefits of a higher-skilled workforce has boosted business at McGregor Metalworking, and proved that training and success go hand-in-hand. That speaks to the power of training, and McGregor has flexed its training muscle to further develop cellular manufacturing to serve that same fitness customer. Three welding systems at Morgal sit side by side, with a motor pan produced in one of the systems and rails in another. A manipulator moves the subassemblies to the third welding system for final assembly. In 1991, Scott Bageant, fresh out of high school and with only one job behind him, entered Morgal Tool & Die as a new employee. 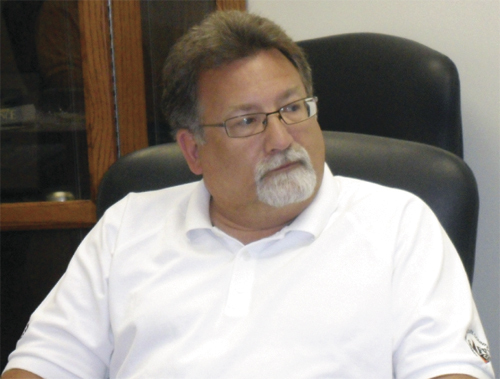 Now, with 20 years under his belt as a Morgal press operator/lead man, he’s a perfect example of McGregor Metalworking’s commitment to workforce development. One of the first Morgal Tool & Die employees to earn NIMS certification, Bageant completed the entire press operator Pay for Skills path and has a solid career to show for it. Training for Bageant initially consisted mostly of videotapes to watch. In fact, he even stars in some of the Precision Metalforming Association’s pressroom-training videos. Bageant also has completed numerous worksheets, participated in hands-on training and had in-depth instruction on tasks he performs each day. Training at South Carolina Metal Products (SCMP) also has paid dividends, creating a new skilled workforce and providing big business for an automotive Tier One. In 2006, McGregor Metalworking opened a plant in Aiken, SC, located close to the customer but without a manufacturing-skilled workforce from which to draw. “The plant resides in what is primarily an equestrian-based community,” says Belden. “As a result we recruited inexperienced people and undertook a massive effort to train and retain a skilled workforce. The plant initially performed primarily welding, and recently has transitioned to stamping. At that point we needed an extensive knowledge of stamping in the pressroom on two shifts. With stamping equipment still being installed, McGregor hired seven press operators and brought them to Springfield for training. “These new employees spent every morning at one of our Springfield plants and every afternoon in a classroom,” recalls Sigman. Company culture at McGregor Metalworking supports promotion from within the ranks. Though some caution that filling slots from the inside prevents fresh eyes and fresh ideas, the diversity of McGregor Metalworking’s processes, coupled with multiple facilities, negate such concerns. Also, as some McGregor Metalworking operations may experience downturns, other locations can pick up the slack and provide a new home for associates. It boils down to this: McGregor Metalworking’s workforce development plans benefit the organization, and allow associates to pursue long-term professional growth. “When we first developed Pay for Skills, workers could leave our business or any other business, walk down the street and find a new job that same day,” says Powell. “We were bringing in new employees, and current employees were leaving, but we weren’t working to turn jobs into careers. Today, there isn’t a pool of people out there that have the knowledge and can just pick up and leave, and there aren’t the opportunities to simply travel from one job to the next.